Register now! Participation is limited to 25 people! To secure your attendance, a $300 non-refundable Deposit is due by Monday January 29, 2018. Explore Rome’s rich printmaking history and contemporary developments through exclusive access to museum collections, print archives, and behind the scenes tours lead by content experts. Join us in Rome on May 14, 2018 for a conference kick off evening reception then dive into hands-on print demonstrations in the Temple Rome Printmaking studios, conference presentations and tours through May 21. Planned excursions include the Vatican Archive of Prints and Drawings and the Pinacoteca, the Istituto Nazionale per la Grafica, which houses Piranesi’s prints and plates, and the Calcogra a Nazionale for demonstrations of historical restoration and research. Contemporary prints will be explored at Stamperia del Tevere with director Alessandro Fornacci, as well as at other artists studios and historic print shops. Additional print technique demonstrations will take place at Temple University Rome’s print studio, and panel discussions and lectures will be hosted in TU Rome’s brand new conference center. Conference registration includes a welcome dinner and a farewell aperitivo at the conclusion of conference! Also enjoy free time to explore the eternal city on your own! "Understanding the Roman scene: On site at the Vatican Archives"
Additional speakers to be added soon, stay tuned for updates. Professor Marina Bindella, "Il Segno Inciso"
Speakers are subject to change stay tuned for updates! Conference registration includes access to all of the conference programs, several group meals, and admission to the Vatican Archive of Prints and Drawings. In addition to the non-refundable Deposit, a registration fee balance of $425.00 must be paid by February 12, 2018 in order to qualify for the discounted Early Bird rate. After February 12, 2018, a registration fee balance of $450.00, which is in addition to the non-refundable Deposit, must be paid by April 9, 2018. NOTE: THERE WILL BE NO ON SITE REGISTRATION OR LATE PAYMENT. Payments for the balance of the registration fee must be received by April 9, 2018. The conference organizers do not recommend that participants book flights or make accommodation reservations until the Deposit and Registration are accepted and participants have received a confirmation from Print Think and Temple University Rome. Conference Director: Devin Kovach, Assistant Professor of printmaking. During the morning’s historical survey lecture, Prof. Dabell will lay the groundwork for understanding the historical context of printmaking production in Rome during the Renaissance, including examination of the artists, printers, and patrons who drove early print production, the technology of Renaissance and Baroque prints, and practices of distribution and collection. Prof. Dabell will also address the duality of reproduction and the influence of the marketplace, factors that have had lasting resonance on the state of the question of graphic reproduction. 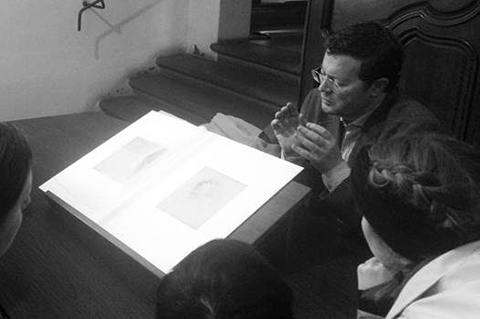 In the afternoon Prof. Dabell will lead a private, exclusive access tour of the Vatican archives collection of prints and drawings, to show the original prints discussed during the morning’s lecture. The visit will conclude with a trip to the Pinacoteca to view how print production influenced the spread of Renaissance pictorial ideas. The Istituto Centrale per la Grafica (ICG) is one of the most important centers for the preservation, protection, and promotion of the graphic arts in the world. ICG houses an extraordinarily rich collection of original prints, drawings, and photographs, and is an active center of restoration and print research. Amongst the Institutes many treasures, are a breath-taking collection of 964 of Giovanni Battista Piranesi’s original copper printing matrices. Giovanna Scaloni, is technical assistant at the Calcoteca of the Istituto Nazionale per la Grafica (the matrix collection). In the context of Print Think, she will present a special selection of Piranesi’s original copper plates and discuss her extensive research for the initiative “Progetto Piranesi”, a major recent study consisting of diagnostic analysis and historical investigation to shed light on the artists’ innovative technical approach and lasting influence on the medium. Arianna Mercanti, a Roman art historian, specializes in the history of graphic arts, typography, and editorial design. She has published extensively on these topics including in the book Printmaking between the Museum and the Laboratory: Archival Documents of the Sixties and Seventies (Palombi Editori, Rome 2007). Additionally, she has curated exhibitions by Guido Strazza, Marina Bindella, Lucio Passerini, Francesco Parisi as well as other artists focusing specifically on the graphic arts and printmaking. She currently works at the Alighiero Boetti Archives as a research collaborator on the artist’s catalog, and since 2007 has taught at the Art Academy of Frosinone. Richard Hricko is a Professor and current Program Head of Printmaking at the Tyler School of Art where he has taught since 1985. He has exhibited extensively both nationally and internationally. His work is represented in many public and private collections, including the Philadelphia Museum of Art, Woodmere Art Museum, Delaware Art Museum, and International Southern Graphics Council. Marina Bindella is a Rome based artist and printmaker specializing in woodcut relief. She has exhibited her work extensively both in Italy and internationally, including solo exhibitions at MLAC dell’Universita La Sapienza di Roma and Gallerie Monika Hoffman (Germany). 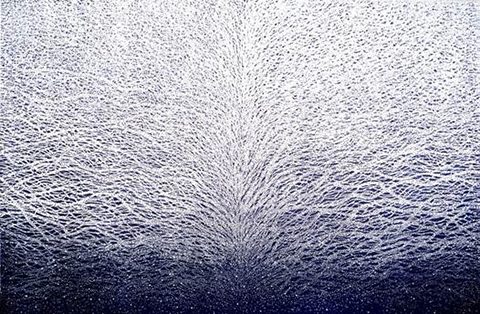 She has received numerous awards for her prints, and completed multiple artist book publications. In addition to her artistic practice, she teaches printmaking at the Accademia di Belle Arti di Roma. Jason Scuilla is Associate Professor and Head of the Printmaking Department at Kansas State University. His prints have been featured in museum collections as well as solo and group exhibitions throughout Europe and the US. Scuilla’s detailed prints are hand drawn and etched with an innovative nontoxic etching process that utilizes electrical current. His mastery of this process has been recognized internationally in the scientific and print communities. He has lectured and demonstrated his techniques at universities, conferences, art centers, and print shops around the world. Inma Herrera, a Spanish artist and printmaker, holds an MA in Art Creation and Research from Complutense University of Madrid, ES, and an MFA in Printmaking from Kuvataideakatemia, University of the Arts, Finland. She has received numerous awards for her work including sponsorship from the city of Helsinki for her exhibition “The Only Hope of Survival”. She has exhibited extensively throughout Europe, and is currently completing a fellowship at the Real Academy of Spain in Rome. Alessandro Fornaci, a native Roman artist and printmaker, comes from a long line of professional printers. 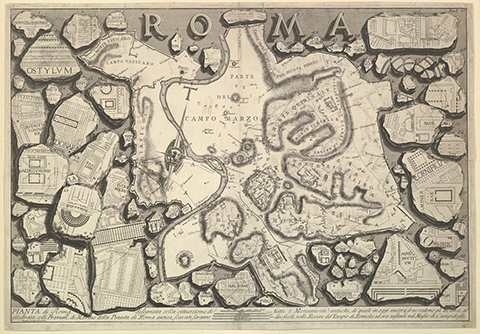 As the inheritor of such deep printing roots, Mr. Fornaci has extended and indeed expanded the printmaking traditions of Rome through the founding of Stamperia del Tevere, a center for experimental research and a hub for contemporary printmaking activity in the heart of Rome’s Trastevere neighborhood. Recently, Stamperia del Tevere expanded its operations to include a community print shop in the Corviale public housing block, southwest of the city center, a major development in boosting the accessibility of print media to wider public. Mr. Fornaci has exhibited his work throughout Italy and Europe and has participated in numerous conferences, lectures, and workshops to promote printmaking and the graphic arts in Rome. Download a list of Hotels and Residences that are close to Temple University Rome here. Co-Sponsored by Tyler Printmaking and Art History Department's Print Think 2017 is being co-organized by Prof. Amze Emmons and Dr. Ashley West. Print Think 2017 features artist talks, lectures, exhibitions, conversations, and demonstrations, with noted international scholars and artists, as well as exciting new voices in the field, including: Christiane Baumgartner, Anders Bergstrom, Shira Brisman, Susan Dackerman, Phyllis McGibbon, Madeleine Viljoen, Imin Yeh, and more. This year’s conference, titled Graphic Mimicry: Intermediality in Print and the Art of Imitation, will examine the intervisual dialogue between prints and other media from both a historical and contemporary perspective of the medium. At the heart of this year’s conference is the fundamental question of how printmaking from its earliest years defined itself in relationship to existing and historically more prominent technologies and media, such as drawing, painting, metalwork, sculpture, and tapestry design. 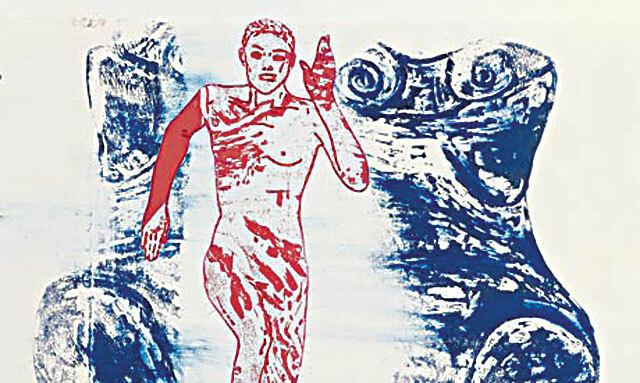 Many innovations in printmaking over the past five centuries often have been motivated by a desire to imitate or critique the distinctive visual effects or processes of other artistic techniques and materials. How did this ability of print to adeptly mimic nearly every other art form and to assert itself within the discourses of other mediums become one of its greatest strengths and a critical tool for contemporary printmaking? We will look at the places where print insinuates itself in unexpected places and consider the ways print mimics, counterfeits, copies its way into all manner of contemporary practice. What is the long standing relationship between print and our mimetic faculties? What is at stake in this performative, often playful, and critically aware blurring of subject and object, of impression and representation? Should we understand these practices of graphic mimicry as attempts to assert a paragone of the arts, the primacy of print as meta-medium, a form of sympathetic magic, or a mischievous infiltration? Alex Echevarria, Lewis Colburn, Amy Cousins, Marianne Dages, Lindsay Deifik, Leah Mackin, Phillis McGibbon, Lauren Pakradooni, Mark Price, Zorawar Sidhu, Carlos Sotos Roman. And featuring a selection of publications co-curated by ulises.us, and featuring COPYING the new collaborative publication by printeresting.org. Additional works by Anders Bergstrom, Yoonmi Nam, and Imin Yeh are also currently on Display in Temple Contemporary. 10:45-12:15 Group Talks “Echoes and Blindspots: Print History as Matrix”, Phyllis McGibbon, Madeleine Viljoen, and Shira Brisman. 2:45-3:45 Artist Group Talks: Imin Yeh, and Anders Bergstrom. Reception and exhibition tour with Pam Paulson and Elizabeth Spungen. On Sunday, October 22 there were Emerging Scholar and Graduate Student presentations including: The Print in Translation: Intersections with Popular and Material Culture (Shira Brisman, moderator) with Quintana Heathman, University of Pennsylvania, Julia Lillie, Bard Graduate Center, Grayson Van Beuren, Virginia Tech and Allison Rudnick, Graduate Center, City University of New York. Panel 2 – The Artist’s View (Phyllis McGibbon, moderator) included: Evgenia Kim, MFA, University of the Arts, Kate Wilson, MFA, Tyler School of Art, Maggie Flanigan, MFA, Tyler School of Art, Elizabeth Rose, MFA, Tyler School of Art and Toan Vuong, MFA, Tyler School of Art. Panel 3 - Print as Process: Surface Topography and the Artist’s Hand, (Madeleine Viljoen, moderator), Ruth Ezra, Harvard University, Maureen Warren, Curator of European and American Art before 1850, Krannert Art Museum, University of Illinois at Urbana Champaign, Sarah Mirseyedi, Harvard University, and Kathryn Kremnitzer, Columbia University. Imin Yeh. 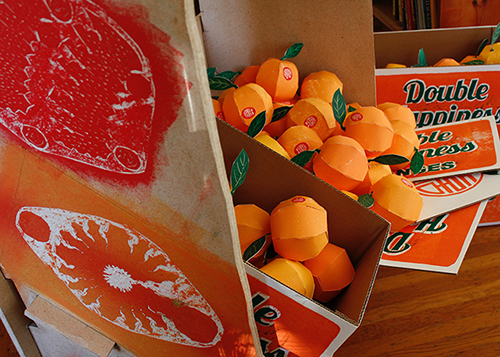 Double Happiness Oranges, 2013. Woodblock print, carved, toxin free Medium Density Fiberboard. Image courtesy of the artist. *If you would like to pay by check, please mail your payment to the below address, along with this FORM. The next Print Think conference hosted by the Tyler School of Art of Temple University Printmaking Program will be a collaboration with Art in Print the international bimonthly art magazine and website devoted to the history and culture of art and the printed image. Its founding motto, from Leo Steinberg, is “without prints you don’t understand the culture of the world." We couldn't agree more! Our keynote speaker will be Susan Tallman (Editor of Art in Print) who will lead us in our investigation of print in relation to "the local and the cosmopolitan." artist’s in places like Brooklyn are no longer looking solely to the galleries of Manhattan to find community and purpose. studios form natural community hubs. Or perhaps the collaborative nature of print creates an intuitive organizing principal. Or maybe it’s the way web 2.0 is allowing dislocated communities to participate in a larger discourse. Let’s parse this questions together. 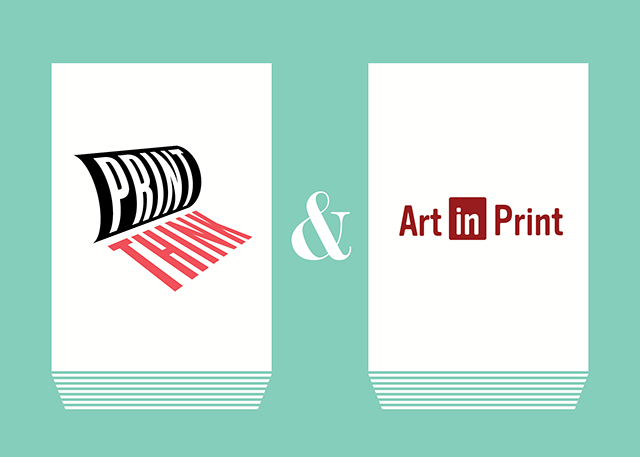 This year’s Print Think conference will work in collaboration with Art in Print magazine to ponder this nature of the new local. Susan Tallman, Editor-In-Chief, Art in Print. Additionally Ms. Tallman is an Adjunct Associate Professor of Art History, Theory, and Criticism, at the School of the Art Institute of Chicago. She received a BA, from Wesleyan University; MA, Art History and Archeology, 1985, Columbia University. Her highly regarded book, The Contemporary Print from Pre-Pop to Postmodern is a critical survey of printed art over the last four decades examining the art of 170 artists from 11 countries. Starting from the foundation of the first pioneering workshop in 1957, it explores the differing traditions of postwar Europe and America: the experiments of Johns and Rauschenberg; the Pop explosion; the Multiple; Op art; Minimalism and Serialism; Conceptual artists exploiting the language of photography; the revival of Expressionism and figuration in the 1980s; and the energies with which the print continues. Her critical work has also appeared in Parkett Collaborations and Editions Since 1984; Silent & Violent: Selected Artists' Editions; Stroomgeest; Art in America; Arts Magazine; Parkett; Metropolis M; Art on Paper and the Print Collector's Newsletter. Kate McQuillen is a Chicago-based artist working in printmaking and installation. She has exhibited at the Utah Museum of Contemporary Art, the Terrain Biennial, O’Born Contemporary, and The Comfort Station, Chicago. She has been the recipient of grants from the Illinois Arts Council and the City of Chicago Department of Cultural Affairs and Special Events, among others, for her large-scale installations. Writings about her work have been included in such news outlets as Printeresting, The Chicago Reader, New City, the Chicago Tribune, Time Out Chicago and Hyperallergic, and in publications by the Poetry Foundation, Columbia College Chicago and Rutgers University. Jeffrey Dell lives and works in San Marcos, Texas. He is an Associate Professor of Printmaking in the School of Art and Design at Texas State University-San Marcos. He shows regularly in Houston at the Art Palace Gallery with many national and international group exhibitions. Ryan Standfest is a Detroit artist. He is the editor and publisher of ROTLAND PRESS, presenting publications of humor and despair, and founded the performance group Cabaret BLACK EYE, a hybrid of vaudeville and Absurdist theatrical tendencies. He is also a curator, assembling exhibitions that focus on different forms of humor in the visual arts. Hardworking Goodlooking (HWGL) is a publishing and graphic design hauz interested in decolonization of aesthetic voices, vernacular artistry and giving value to the invisible. Primarily, they publish cultural reearch and theory, printed in very, very small cottage-industry presses in the Philippines. But they also work with small and large studio clients in order to fund or genreate social practice projects of The Office of Culture and Design (The OCD) a social practice research adn project platform under which HWGL operates. HWGL works out of Parañaque City. Second State, Philly; BYO Print, Philly; The Soapbox Community Print Shop, Philly; Paper THINKtank, Philly; People’s Paper Co-op, Philly; A.I.R.- Pittsubrgh; The Print Center of New Jersey, NJ; Printmakers Anonymous, Brooklyn; Studio 23, Richmond; Pickwick Press; Portland; and more! 1:45: Demo-derby & Print shop fair including, community print studios- Second State, Philly; BYO Print, Philly; Soapbox Press, Philly; Paper THINKtank, Philly; People’s Paper Co-op, Philly; A.I.R.- Pittsubrgh; The Print Center of New Jersey, NJ; Printmakers Anonymous, Brooklyn; Studio 23, Richmond; Pickwick Independent Press; Portland; and more. 5:00: Reception and gallery talks at The Print Center, gallery talk with John Caperton on the exhibitions of Jeffery Dell and Leah Mackin. In considering the topic “The Local and the Cosmopolitan,” we devised a system that expands our own personal relationships to reach new communities of artists and makers. We defined our “local” community as one determined by human relationships rather than by geographic restrictions, and we sought to grow our direct relationships by utilizing a ripple effect (we connect to artists in our community and they in turn connect us to new sets of artists, and so on). By reaching out to our own networks via email, we aim to explore the nature of cosmopolitanism in our digital culture. Reverberations is the result. To embody both contemporary methods of communication and the traditional role of printmaking in distributing information, artists emailed a black and white digital file that Tyler students would convert into single color screen prints. The resulting prints put artists from different and overlapping locals into dialog with one another through the unifying language of print. Reverberations will take place in the Stella Elkins Gallery and features prints by artists Karl Addison, Sujung Baek, Matthew Batty, Anne Baumgartner, Helen Cantrell, Daniel Chiaccio, JooYoung Choi, Liyen Chong, Dora Cuenca, Janet Diaz, Chadric Devin, Colleen Donohoe, Ben Duncan, Addoley Dzegede, William Evertson, Enrique Figueredo, Lauren Moya Ford, Helen Frederick, Henry Gepfer, Takashi Hara, Jingman Hu, Lan Huang, Katie Kaplan, Brian Kelly, Kristina Key, Heather Leier, Chengjun Li, Shuyan Liu, Michael Lorefice, Abigail Lucien, Noah Matteucci, Katie Miller, Adam Montoya, Stephanie Motyka, Candida Pagan, Calvin Phelps, Kevin Pomerleau, Andrew Saftel, Laura Smith, Emilie St.Hilaire,Yitian Sun, Yuqin Sun, Davidson Thomas, Christina Taylor, Maria Teicher, Scott Trimble, Christopher Wallace, George Woollard, Autumn Wright, and Jihoon Yang. Reverberations was organized in conjunction with the Print Think 2016 conference by Printmaking graduate students Maya Malachowski Bajak, Amy Cousins, Nicole Dikon, Tantjana Pavicevic, and Qiaoyi Shi with guidance from Francine K. Affourtit and Hester Stinnett. John Cage with Kathan Brown in the Crown Point studio, 1982. Photo: Colin McRae. Tyler Printmaking is pleased to present this year’s Print Think conference, titled Mutable Matrix, on Saturday, May 16. Whether they call what they are producing variable editions, mono-prints, drawings, or something else entirely, contemporary printmakers have increasingly found something plastic within the frozen gestures of their plate, stone, block, or screen. This vision of the matrix as mutable has offered artists a new means of exploring the tension between the gestural and graphic. Traditionally, the gold standard of print production has been the edition—a series of identical prints in which the matrix is the means and the map by which artists finesse a number of uncanny duplicates. The mutable matrix allows for a new sense of play, a new found exploration of chance and intuition within the very process of printing the page, while new ways of working often escape the page altogether. Please join us in this exploration, conversation, and celebration of the ways printmakers have broken rules, hacked procedures, gone off the rails, and/or invented new ways of working in which the sanctity of the copy has been superseded by a curiosity about the possible. The conference features: Kathan Brown, Founding Director of Crown Point discussing her work with John Cage, Amy Ingrid Schlegel, Director of Galleries at Tufts University discussing the work of Nancy Spero, artists Rob Swaniston, and Ken Wood and a tour of the Richard Tuttle exhibition at the Fabric Workshop.. We will end our day at The Print Center with gallery talks by artist Ken Wood on his work and John Caperton, the Jensen Bryan Curator on the Michael Mazur exhibition. A reception will follow. 6:00: Reception and gallery talks at The Print Center, gallery talk with artist Ken Wood and John Caperton on the exhibition, Michael Mazur: The Inferno of Dante, which brings together a number of works from artist Michael Mazur's (1935-2009) series of etchings illustrating poet Robert Pinsky's translation of Dante's epic poem, The Inferno of Dante. 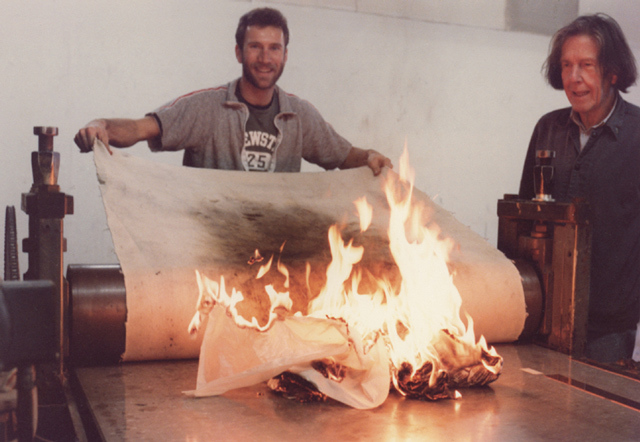 John Cage with Lawrence Hamilin printing Eninka at Crown Point Press, 1986. Kathan Brown who is the founding director of Crown Point Press, an etching workshop and publisher of artists’ original prints located in San Francisco, will speak on her work with John Cage. Over fifteen years Kathan worked on Cage’s most important print works. Crown Point Press marked its 50th anniversary in 2012 with a major exhibition and catalog titled Yes, No, Maybe: Artists Working at Crown Point Press at the National Gallery of Art, Washington, D.C.
Crown Point Press celebrated its 25th birthday with an exhibition at New York’s Museum of Modern Art, and its 35th with a retrospective jointly organized by the Fine Arts Museums of San Francisco and the National Gallery. Both of these organizations own archives of its work. Amy Ingrid Schlegel is the Director of Galleries and Collections at Tufts University and a lecturer in the Department of Art and Art History, where she has been based since 2004. She serves as Director and Chief Curator of the four visual art exhibition spaces comprising the Tufts University Art Gallery, located in the Shirley and Alex Aidekman Arts Center, and oversees the development and management of the University’s Permanent Art Collection, a public art program called Museum Without Walls, and is co-director of an art/science residency pilot program, called @DesireLab (Art and Design for Science Innovation and Research) based at the Tufts SilkLab. Schlegel holds a Ph.D. in art history from Columbia University, where she wrote a dissertation completed in 1996 entitled “Codex Spero: Feminist Art and Activist Practices in New York since the late 1960s." She also holds a M.A. in art history from the University of Chicago, where she focused on early 20th-century Northern European art, and a B.A. from the University of Vermont. At Tufts, Schlegel has curated some 40 exhibitions, notably Ilya and Emilia Kabakov: The Center of Cosmic Energy (2007); Empire and Its Discontents, with Rhonda Saad (2008), which included the work of Mark Shetabi; Sacred Monsters: Everyday Animism in Contemporary Japanese Art and Anime (2009); Christian Tomaszewski: Hunting for Pheasants (2009); Questions Without Answers: A Photographic Prism of World Events, 1985-2010, Photographs by VII” (2010); Maria Magdalena Campos-Pons: My Mother Told Me (2013); and "Seeing Glacial Time: Climate Change in the Arctic" (2014). Rob Swainston is currently Artist in Residence at Bard College. Born and raised in rural Pennsylvania, he studied art and political science at Hampshire College, and subsequently lived and worked in Central Europe, pursuing postgraduate studies in political science at Budapest’s Central European University. He received his MFA in visual arts from Columbia University in 2006, attended the Skowhegan School of Painting and Sculpture in 2007, the Marie Walsh Sharpe Studio Program in 2009-10, and is alumnus of the Philadelphia art collective Vox Populi. Rob is a cofounder and master printer of Prints of Darkness, a collaborative printmaking studio in Brooklyn, NY. He has had solo shows with Marginal Utility, Philadelphia (2013); Neuwerk Kunsthalle, Konstanz, Germany (2012); Esther Massry Gallery at the College of Saint Rose, Albany, NY (2011); David Krut Projects, NYC (2010); Bravin Lee Programs, NYC (2010); and Vox Populi, Philadelphia (2008 and 2009). Rob has been in group shows at International Print Center New York (2014,2012,2011), Socrates Sculpture Park, Queens, NY (2013,11); Arlington Arts Center, Arlington (2012); Provincetown Art Association and Museum, Provincetown, MA (2012); Mellon, Brooklyn, NY (2011); NADA Hudson (Canada Gallery), Hudson, NY (2011) and Mason Gross Galleries, New Brunswick, NJ (2010); Rob recently finished a fellowship with the Provincetown Fine Arts Work Center (winter 2011-12) and a fellowship at the Robert Blackburn Printshop (summer 2012), and will be participating in the Bronx Museum AIM program in 2015. Ken Wood has a professional degree in Architecture from Rice University in Houston, TX and an MFA in Printmaking from Tyler School of Art, Philadelphia/Rome. He has exhibited his paintings, drawings and prints in Massachusetts, Rhode Island, Texas, Pennsylvania, Virginia, Missouri, Mississippi, Illinois, and in Italy, and shows his work at the Philip Slein Gallery and Good Citizen Gallery, both in St. Louis. He has taught drawing and design at the Rhode Island School of Design, Wesleyan University, Temple University in Rome, Virginia Tech, and Washington University, and is currently Assistant Professor and Area Coordinator of Printmaking at St. Louis Community College - Meramec. A special viewing for conference participants of The Fabric Workshop and Museum (FWM) exhbition Richard Tuttle: A Print Retrospective. This exhibition organized in close collaboration with the artist was recently on view at Bowdoin College Museum of Art, Brunswick, Maine. Expanding upon the original exhibition, FWM’s installation will include new prints from the Pace Gallery, Gemini G.E.L., and other organizations from London, England, and around the world, along with the international premiere of new work by the artist. Richard Tuttle: A Print Retrospective offers a new insight into Tuttle’s artistic practice, and is the first-ever comprehensive examination of the prints of Richard Tuttle. A survey of textile work—each piece is accompanied by a short piece of writing by the artist—by American artist Richard Tuttle (b. 1941), a participant of FWM’s Artist-in-Residence Program. Richard Tuttle: I Don't Know . The Weave of Textile Language, recently on view in London at the Whitechapel Gallery, showcases five decades of the artist’s work in textiles. FWM will serve as the United States premiere of the United Kingdom’s largest-ever survey of Tuttle’s work. INsight Lines, a group exhibition of current Printmaking graduate students and recent alumni, featuring: Grimaldi Baez, Maya Malachowski Bajak, Amy Cousins, Lindsay Deifik, Leslie Friedman, Chris Hartshorne, Devin Kovach, Taylor Lynch, Megan Nolde, José A. Ortiz Pagán, Yangbin Park and Mark C. Martinez. Paula Scher/Keith Hartwig Mapping Philadelphia, as the 2014/15 Tyler Distinguished Alumna, renowned designer and painter Paula Scher (BA 1970) will be exhibiting a monumental map of Philadelphia alongside the work of recent Tyler graduate Keith Hartwig (Bachelor of Architecture, 2011). Since the fall of 2014, Hartwig has worked alongside Scher to coordinate the completion of this participatory map involving the artistic efforts of over 100 Tyler students. Covering the walls and floor of Temple Contemporary, this group effort will result in an immersive experience that is indicative of Scher's iconic design sensibility. Paula Scher is the first female principle of the internationally recognized design firm Pentagram. She has created some of the most recognizable and influential graphic statements of the last thirty years. This work involves a range of clients including The Public Theater, Citibank, The High Line, and The Philadelphia Museum of Art. Keith Hartwig has worked for a range of architecture firms in Philadelphia and New York including Boxwood Architects, Veyko, and Bradley Pitts Studio. His artistic goal is, "to create playful work that engages people on a multitude of scales and promotes exploration." This exhibition has been made possible by Tyler School of Art's Office of the Dean and Blick Art Materials. Tyler School of Art Printmaking is pleased to announce Print Think, a one-day conference on May 24, 2014 aimed at fostering conversation about the present and future of the print. Printmaking has long appropriated technological innovation from the commercial printing industry to explore new possibilities of the matrix and multiple for the artist. For the first Tyler Print Think, we are focusing on the expanding role of 21st century rapid prototyping technology. 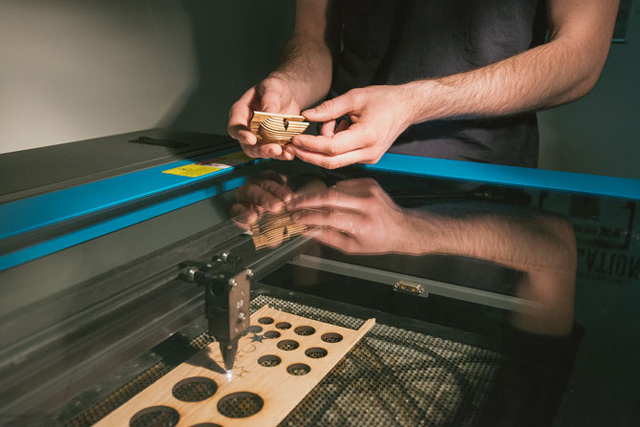 Laser cutters, vinyl plotters, CNC Routers, and 3D printers are proven game changers for industrial designers and innovators of all sorts, but what can these exciting new tools produce in the hands of a printmaker? Print Think will feature a panel discussion and presentations by noted artists, hands-on technical demonstrations at Tyler's printmaking and digital fabrication labs, and lively conversations. 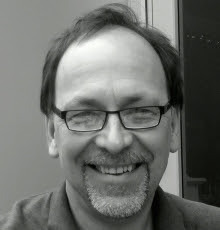 John F. Simon Jr., a new media artist who has been working on the front edge of technology for almost twenty years. Unlike many digital arts working today, Simon writes his own code to create his ever-changing abstract imagery. Produced in limited editions, his work is displayed on LCD screens housed in elaborate cabinets, made from laser cut formica and CNC fabricated structures, that are also derived from his video imagery. Simon's work has been collected and exhibited widely, including at the 2000 Whitney Biennial, and most recently at the Phillips Collection in Washington, D.C., and Gering & Lopez Gallery in NYC. Glen Baldridge, a Brooklyn-based, multi-disciplinary artist whose work draws widely from popular visual culture to create a troubling and at times humorous dialogue between mortality and consumer culture. Baldridge's work often incorporates unexpected approaches to traditional processes. For example, he has printed lottery scratch-off material over his imagery to create a participatory element, and has combined woodblock and intaglio with laser-cutting and a hydraulic press to create a compelling trompe l'oeil surface. Baldridge has exhibited in NYC and Brooklyn, NY, San Francisco, CA, and Portland, OR. In addition to his own work, Baldridge is co-director of Forth Estate Editions, an innovative print publishing concern often noted for it's collaborative nature and innovative use of technology. Annis Fitzhugh, Director of Dundee Contemporary Contemporary Arts Studio where she has worked with CNC technology. Her artist talk, “Numerical Manoeuvres: The printer’s hand in a post-digital world” was presented at the Impact 8 conference. She will expand upon that talk at Print Think. For the past 14 years she has been Director of Dundee Contemporary Arts Print Studio. (Scotland, UK) DCA uniquely, for a gallery of this standing, houses a world-class facility for the production of printed works. This open-access studio offers all the traditional print processes, digital production facilities and, more recently, comprehensive CNC production equipment (laser-cutter, router, engraver and vinyl-cutter) . Newer, safer processes are also promoted. During this time DCA has presented some of the most vibrant and challenging work by both emerging and established, internationally respected artists. Alongside a full-time teaching career she has also exhibited at national and international level. After graduating with a B.A (Hons) degree in Fine Art and Art History at Falmouth School of Art, Annis specialised in printmaking at the Slade, and then at Central School of Art, London. Robert Jackson, has presented his research into eye-tracking as a drawing method at the Impact 8 conference, http://eyecandraw.wordpress.com/ Eye-tracking devices have been commercially available for some time and primarily used to examine the human eyes for specific medical conditions and to measure the motion of the eye in consumer situations.He completed his BA Hons in Fine Art Printmaking at the National College of Art and Design, Dublin, Ireland in 2005 and his Masters Degree in Fine Art at Duncan of Jordanstone College of Art and Design in 2006. Since 2007 he has worked as a Print Studio Technical Instructor at Dundee Contemporary Arts. He has been intensively involved in the editions program at DCA. Robert was awarded a Creative Scotland grant in 2012 to explore eye-tracking as a drawing method within DCA Print Studio. Second Sight will feature Neff's unfettered and unconventional approach to media which is integrally linked to his intellectual, emotional and philosophical concerns around the responsibilities and choices each individual faces in being part of larger society. The title is a term used by prominent African American activist W. E. B. Dubois, and, characteristically for Neff, reverberates across multiple levels of thought including ideas of spiritual potency, Wu-Tang Clan (hip hop group) lyrics as prophecy, double consciousness and the idea of the veil as a visual metaphor. The show includes significant new works, alongside a selection of pieces created over the past ten years. 1:00: Artist presentation: John F. Simon, Jr.